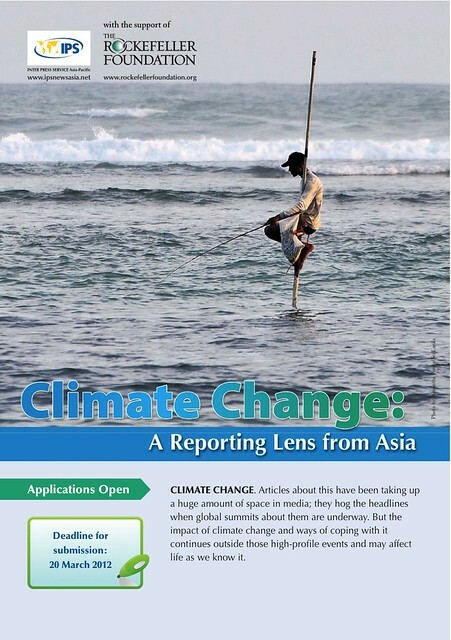 Call for contest entries: "Climate Change: Reporting Lens from Asia"
Quezon City–Articles are now being accepted for the contest “Climate Change: Reporting Lens from Asia.” Journalists from East, Southeast, and South Asia who write in English and/or local languages are invited to submit entries relating policy, environment, and science to everyday issues. Deadline of submission of entries will be on 20 March 2012. 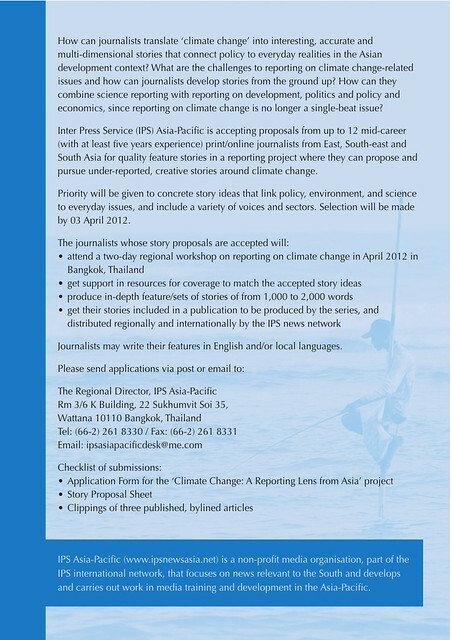 Share the post "Call for contest entries: "Climate Change: Reporting Lens from Asia""